Griffon Vulture (Gyps fulvus). Taken at Extremadura, Spain, on November 13th 2018. Taken at Extremadura, Spain, on November 13th 2018. Griffon Vulture (Gyps fulvus). Taken at Extremadura, Spain, on November 14th 2018. Taken at Extremadura, Spain, on November 14th 2018. 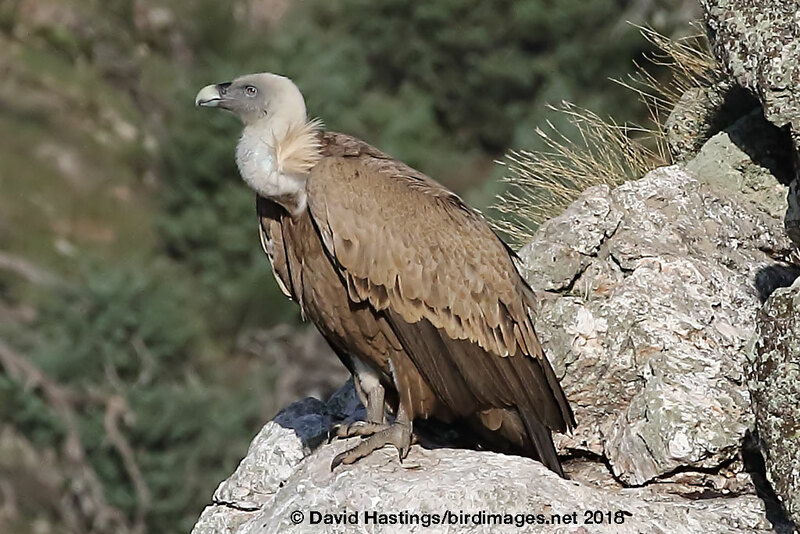 The Griffon Vulture is a typical Old World vulture in appearance, with a very white bald head, very broad wings and short tail feathers. It has a white neck ruff and yellow bill. The buff body and wing coverts contrast with the dark flight feathers. It is resident in the mountains of the Mediterranean area, also Turkey and the Caucasus. 90% of the European population is found in Spain. Spanish birds are mostly resident, but there is a southward migration across the Straits of Gibraltar between September and November. 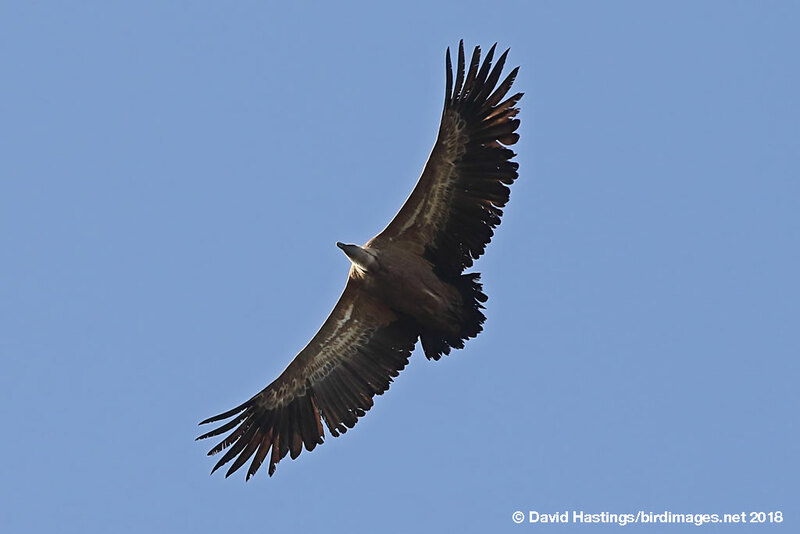 Griffon Vultures soar and glide frequently, often appearing in loose flocks. They nest on cliff ledges, often in colonies of 10-20 pairs. Although declining in Europe it is still regarded as being of Least Concern by the IUCN.